Richard Childress Racing and Circle Sport – Leavine Family Racing have agreed to form a technical alliance in NASCAR Sprint Cup Series competition, beginning with the 2016 season. The partnership includes technology sharing, engineering, research and development provided to Circle Sport – Leavine Family Racing as they switch their No. 95 Sprint Cup Series cars to Chevrolet beginning with the 2016 season. Circle Sport – Leavine Family Racing will also benefit from utilizing the highly reliable and powerful engines of ECR Engines. Ty Dillon will run select races, including the Daytona 500, for Circle Sport – Leavine Family Racing in 2016. 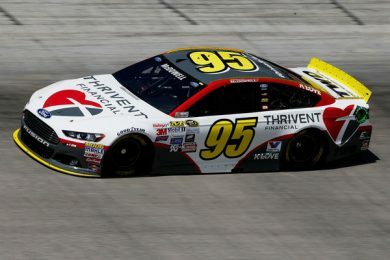 Sprint Cup Series veteran driver Michael McDowell will be the primary driver for the team. With their race shop based in Concord, N.C., Circle Sport – Leavine Family Racing has a veteran group of racing personnel and ownership that has been active in the Sprint Cup Series for multiple years.